Hot tunes, cool art. Entrance is free and it’s a Friday night, so no excuses. 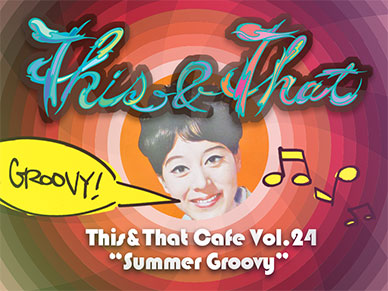 It’s gonna be groovy! KINLAY is a 4-piece Rock Funk Reggae band from Tokyo, Japan. With over 10 years of performing and hosting regular jam sessions – their versatile music includes elements of Rock, Funk, Reggae, Dance, Soul and more recently Afrobeat. They have released 5 studio albums – the latest being “Black Dragon” was well-received by local press : [http://metropolisjapan.com/the-black-dragon-sings/](http://metropolisjapan.com/the-black-dragon-sings/) They still host monthly jam session on First Wednesday every month at British Pub What The Dickens! in Ebisu. Music Video of “Shine on Me” – New single (from KINLAY’s “Black Dragon” LP Album) : [https://www.youtube.com/watch?v=LlMN0-UJ89Y](https://www.youtube.com/watch?v=LlMN0-UJ89Y) Aspiring to summer, they will be playing as an 8-piece band including horn section (borrowed from other local band “Ruby Room Orchestra”). cross between banjo and guitar) and Hiroshi’s simple percussion (a drum he’s made himself, from scratch) balance each other perfectly, providing a transparent, compelling musical fabric on which Samm’s songs soar and glide. Illustrating the world surrounding him, Adrian Hogan is an inconspicuous observer of the everyday. Capturing the daily moments that go unnoticed to others, Adrian enjoys highlighting cultural interactions and gestures with humour and beauty. WAIFone was born in Fukushima Prefecture in 1986, currently lives in Tokyo and has been performing live art in and around the Tokyo metropolitan area since 2010.